Washington State schools and universities will let out soon; warm weather and summer breezes are just around the corner! While you’re planning your summer vacation, think about this: Northwest Sailing Adventures’ excursions are all-inclusive, fully customizable and tailored specifically to you. And since there’s nowhere on earth more beautiful than the Pacific Northwest in summer, why not book a unique vacation here in your backyard? It’s simple. First, you just need to pick the length of time you want to spend in heaven. After that, Captain Ron and First Mate Mari at Northwest Sailing will work with you to plan the perfect itinerary. Take, for example, their three-day cruises. Guests often say that three days in the Islands is a great length of time; it’s short enough to allow them flexibility in their vacation schedules but long enough to feel like they’re getting away from their day-to-day lives. Do you work in education? There’s a special deal for you! Check out the end of this post for more information. Summer in the San Juan Islands offers a host of fun options for three-day cruises. Maybe you want to visit the cute one-room schoolhouse on Stuart Island. It still operates, believe it or not, when it has students. In 2008, two kids comprised the school’s entire student-body. Or perhaps beachcombing, crabbing and hiking is more your thing. Sucia Island, often ranked as one of the world’s best boating destinations, is perfect for these activities. Throw in sunbathing from the deck of a sailboat, too, and you have a vacation paradise. And then there’s the adorable and eminently walkable seaside towns of Friday Harbor and Roche Harbor. Beachfront restaurants, hole-in-the-wall bookstores, cute little cafes and antique stores abound. Tucked into the San Juan Island hillsides, these towns are perfect complements to the natural splendor that surrounds them. Between and among all of these islands, you can float in a kayak, explore tiny coves and watch majestic bald eagles swoop and soar. 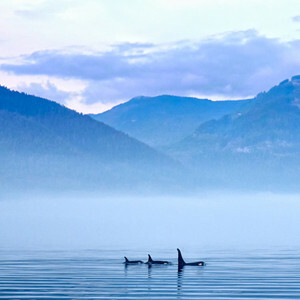 Perhaps you’ll even be able to spot a pod of Orcas, who spend a lot of time around the islands in the summer months. 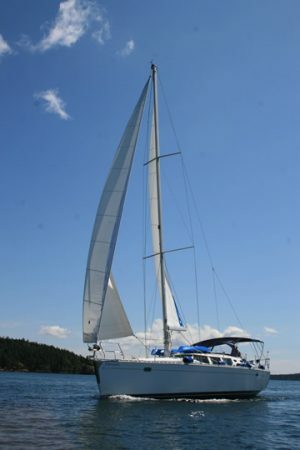 Whatever type of adventure vacation you’re looking for, the San Juan Islands can accommodate it, and the professional chartered sailing crew at Northwest Sailing Adventures can get you there in style. Not to mention, of course, that sailing through these islands is an adventure that you just can’t experience any other way. Sailing discount for education employees. Northwest Sailing has a soft spot for those who work in schools. If you contribute to education, be it as a school janitor, administrator, teacher, groundskeeper, cook or other school employee, please enjoy a 20-percent discount on any three-, four-, five- or six-day all-inclusive sailing charter. You deserve a break from the hard work of teaching the next generation. Let Diminuendo’s chartered sailing crew cater to your every need while you relax and enjoy the beautiful scenery of the Pacific Northwest islands.